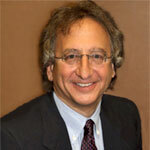 Dr. David Ross is the founding member of Ross Eyecare Group practicing primary care Optometry in Atlanta since 1983. He had the privilege of working with and building the practice with his wife, Dr. Donna Ross who retired to be a stay-at-home mom in 1994. A 1979 graduate of the University of Florida at Gainesville, Dr. David Ross then received his Doctorate of Optometry in 1983 from the University of Alabama, School of Optometry in Birmingham. Emphasizing a more personal and medical approach to eyecare, Dr. Ross provides primary eyecare for children and adults. With particular emphasis and experience in prescribing specialty contact lenses for patients with dry eye, keratoconus, astigmatism and bifocal requirements, Dr. Ross enjoys caring for that “hard to fit” contact lens patient as well as working with athletes to maximize their visual potential. Serving as the team Optometrist for The Atlanta Braves Major League Baseball team, Dr. Ross understands the critical visual needs of athletes. He is also the recipient of the Bausch and Lomb Outstanding Expertise in Contact Lens award. In addition to his work at Ross Eyecare, Dr. Ross served as a clinical investigator for several contact lens companies working with the newest contact lens materials and designs to enhance the comfort and visual performance of a variety of contact lenses from lenses that correct astigmatism to bifocal contacts to contacts specifically designed for patients with dry eye. Throughout his career, Dr. Ross’s goal has been to stay on the cutting edge of technology in order to bring the newest and best in lens designs to his patients. He has also participated in pharmaceutical studies evaluating the effects of new treatments for patients with dry eye as well as several studies monitoring changes in the eye due to various systemic medications used for treatment of autoimmune diseases such as Rheumatoid Arthritis and Systemic Lupus. In addition, he was an early investigator with the Emory Vision Correction Center evaluating the short and long-term outcomes of refractive surgical options including LASIK and LASEK. One of the results of this experience is his knowledge and understanding of the need for thorough pre and post-operative counseling and care for all patients exploring refractive surgery options. Dr. Ross is both a guest lecturer at the University of Alabama School of Optometry and an externship affiliate providing training for third and fourth year Optometry students from several schools of optometry around the country. Dr. Ross is a member of the American Optometric Association, the Georgia Optometric Association and the Southeastern Council of Optometry.